There’s momentum around your role with excitement in store for February, though you may have to allow space for rest and transition, Pisces. The latter half of the month lets you come out of your shell to play! The month opens with stars aligned for professional development, as beautiful Venus syncs with radical Uranus in your money zone. Allowing people to see your ambitious side could inspire positive change around your position. Though it’s likely growth and opportunities are already in motion there’s the potential for lovely surprises, and gifts to come your way. Pushing ahead with confidence to make headway in your role is all well and good – and utterly compelling right now tbh, however driver Mars (bestowing you with energy) clashes with powerful Pluto in your friendship and colleague sector early in Feb. Be mindful that your independent streak that’s allowing you to push ahead doesn’t rub useful peers up the wrong way. Your social circle is topical in February, with plenty happening in a community or group setting. From the 4th you’ll step into a cycle that suggests networking will be on the agenda, and any tension early is the month is worth navigating carefully. The new moon in Aquarius (at 9.04 pm GMT) on the 4th is one to step back – mother moon resets herself in your zone of closure, dreams and transformation, Pisces, giving you the opportunity for a time-out. Valentine’s Day itself is electric for us all, as Mars meets Uranus. For you, this sparky exchange plays out in your purposeful, practical material sector of income; perhaps you’ll be working on this day of love, saving serious fun and romance for the weekend! If so, know that the stars are on side. The 17th in particular is a 5-star day for you, as god of the seas – Neptune – syncs with pleasure Queen Venus. Both these planets are special to you, Pisces, and could deliver sweet moments among friends or another encounter to treasure. The 19th is another significant day for partnership, as the moon peaks in Virgo, and the area of unions and relationships; this is a particularly interesting full moon as the planetary ruler of the full moon is Mercury, which is perfectly in tune with Neptune in your sign. Conversations, observations and your outlook will be very interesting on this day, and it’s worth taking time to acknowledge your perceptions on collaborations, injecting a bit of pragmatism and realism for good luck! The last week of February generally puts a great amount of emphasis on your worldly relationships, dreams, and professional encounters in your network. Interesting news about your career could arrive, while powerful ties among community are yours to explore. Allow connections to come in or leave without too much struggle. 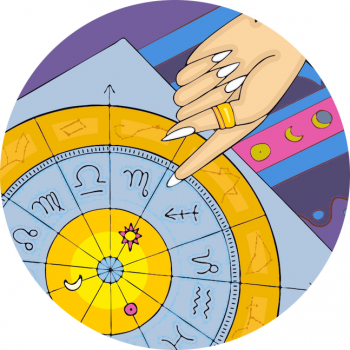 It’s a poignant week in the stars with major shifts possible. Focusing on what you enjoy, your own sense of pleasure, fun and vitality could help smooth over any imbalances.